CHANGES THAT YOU CAN MAKE! wholesale costume jewelry .com is where to go to get all of your quality bobbles cheap and shipped to you. we have an amazing assortment of wholesale fashion jewelry as well, new and exciting styles of bracelets, necklaces and earrings. we have soccer bracelets and other sports themed jewelry and accessories for your sports team fan, and team moms. Exclusively Ours! 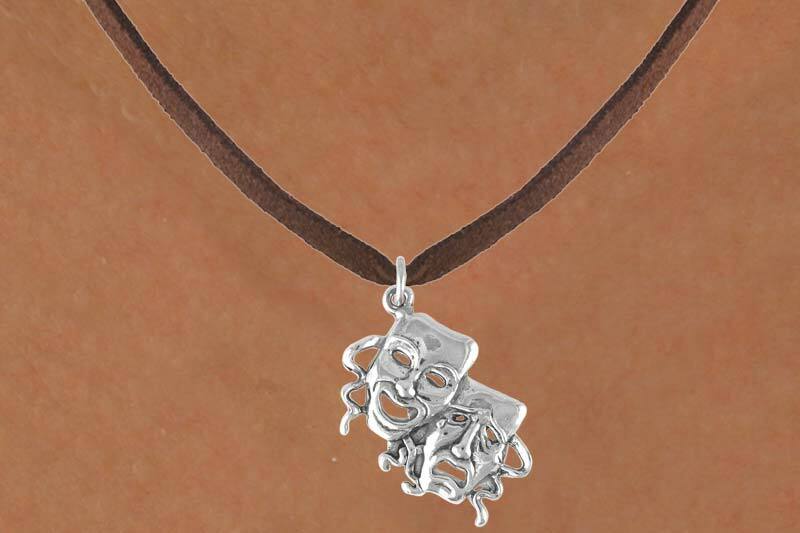 Lead & Nickel Free "Drama Masks" Comes On A Necklace Style Of Your Choice: Ball Chain, Regular Chain, Black Suede Leatherette, Or Brown Suede Leatherette. Charm Measures 1 1/4"L x 1"W.
Now You Can Add One Or Two Additional Inspirational Charms! Express Your Feelings To The Person That Will Receive The Jewelry Above With Words Or Phrases Such As: "Super Star", "Outstanding Achievement", "You Did The Impossible", "Star Performer", "The Most Improved", "Winner", "Blessed", "We're #1," And Many Other Positive And Exciting Charms Below. These Motivational Charms Can Be Added To A Men's, Women's, Boy's, Or Girl's Necklace, Bracelet, Earring, Or Anklet. Scroll Down To See Categories Of Them Below. Choose Those That You Feel Are Appropriate To Complete The Jewelry Pictured Above. 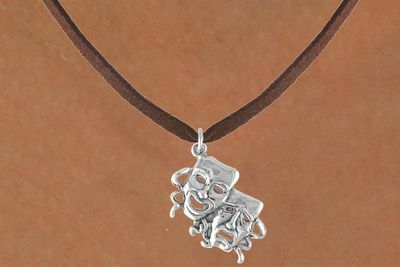 Call 1-800-961-2463 If You Would Like More Than 2 Charms Added To Your Jewelry.